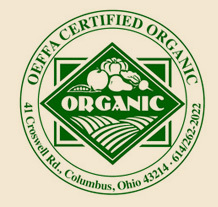 Located in the rich agricultural landscape of Wayne County, Ohio, Autumn Harvest Farm specializes in raising Angus cross-bred beef cattle on certified organic pastures with no grain or hormones. A rotational grazing program regularly moves the cattle through paddocks containing grass mixed with clover and alfalfa so that the animals have a nutritionally rich blend of pasture crops to eat. We take pride in raising beef calves up to full market weight on a 100% grass-fed diet, an effort that is reflected in the excellent quality and taste of the beef. 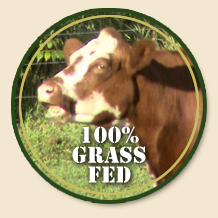 Grass-fed beef has rightfully gained a reputation for having higher nutritional value, less fat, and fewer calories than grain-fed beef, and we have found that their rotational grazing pattern contributes to the health of the cattle as well as to the health of the farm. Because of the care taken in raising the animals, Autumn Harvest beef requires no special cooking techniques to make a delicious meal from your favorite recipes. However, because grass-fed beef is leaner than grain-fed beef, it needs approximately 30% less cooking time and is best served medium-rare to medium for optimal flavor.